The GOG BLOG by Rory Spears, Editor and Director of Content. Follow Rory on Facebook, Linkedin and Twitter @GogBlogGuy. 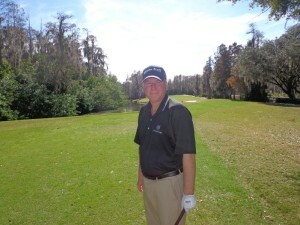 On the island Course at the Innisbrook Resort in Tarpon Springs Florida. 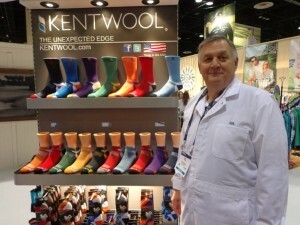 Gil Patrick is the President of Development for Kentwool Socks. No he is not a cadie but Gil Patrick the President of Development for Kentwool socks made in South Carolina by one of the oldest mills in the country, is part of the team that has made life easier for caddies and golfers alike. You may or may not recognize some of the best socks on the market, and maybe the best socks in golf, but you won’t forget them once you put them on. Who knows, maybe Kentwool socks will be your lucky charm, even if they don’t win you a green jacket in Augusta at the Masters come April. The Masters, yes the Masters. A few years back when the company was creating socks for Bubba Watson, he called Patrick and said I need a special sock that I can wear for Masters week. Patrick had his doubts about the investment but gambled on making up several thousand pairs of sock he wasn’t sure he could ever sell. The Bubba Watson Masters sock. Well as fate would have it, Watson won his first major that year at the Masters. After taking off his golf spikes, he took a picture of his Kentwool designed “lucky” Masters socks and put it on Twitter. Can you say viral. The next day the phone at Kentwool started ringing early and often. patrick and the Kentwool team needed to make up even more pairs than they had in stock. Demand was through the roof. Then when Watson won the Masters again a couple of years later, demand was even higher than the first time. Maybe Kentwool can create a lucky Ryder Cup sock for Team USA for use at Hazeltine this fall. Click here to hear the interview with Gil Patrick at Kentwool Socks, the most comfortable socks in golf. You need your socks longer like in crew style, or you want them shorter, no problem. The Kentwool Tour profile sock has found it’s way onto the feet of many tour players on several tours. 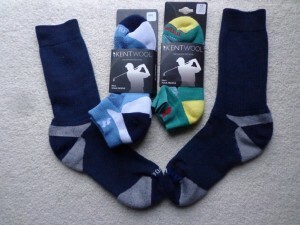 Kentwool has socks for golfers and caddies that are all reinforced in all the right places. So they don’t quickly wear out in the usual places like the balls of your feet or in the heel. 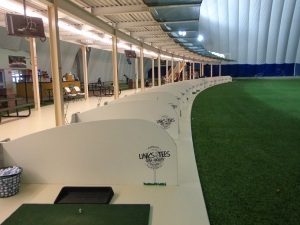 So if your on your feet all day, for work, for golf, or if you are caddie. Consider Kentwool socks, you feet will be glad you did. See Kentwool.com for more information.